Nellikkai plays an important role in Ayurvedic medicine. In north India, it is called as ‘Amla’. 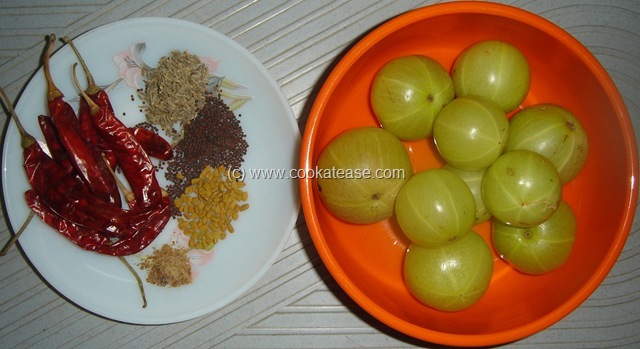 In Indian cuisines, it is used for sweet sour pickle, chutney, raitha/pachadi etc. In south India some people like to keep this tree at home. Like basil (tulsi) this also considered sacred. Even though it tastes sour after eating one, if you drink water that tastes sweet. Over all it revitalizes our system. Dry roast and powder the items given. Heat a pan, add oil, do the seasoning; add turmeric powder, then grated Nellikkai and salt; mix, close it with lid and cook for 2 minutes. 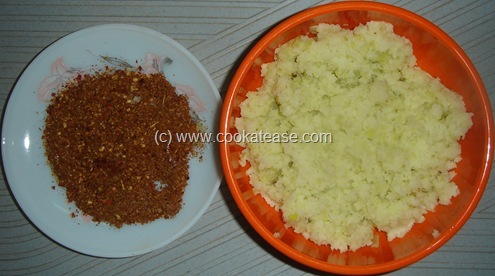 Add dry powder, sugar and mix well; cook for 2 more minutes and remove. Nellikkai Thokku is ready. 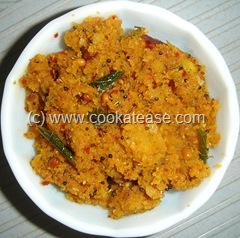 This goes well with curd rice and as a substitute for pickle. Grating and cooking Nellikkai is one of the best ways as it reduces cooking time drastically. 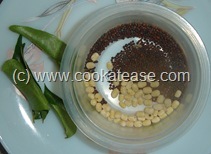 After grating, the Nellikkai seeds will be having tiny Nellikkai particles; put these seeds in a cup of water; after one hour filter and drink; the water will be sweet and delicious and also enriched with vitamins. 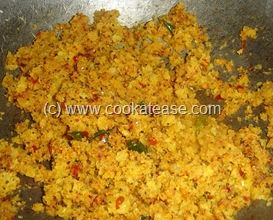 Have been using thokku. But had no info about how to prepare it. Thanks for sharing this info . As the nellikayi season has started, will definitely try this. 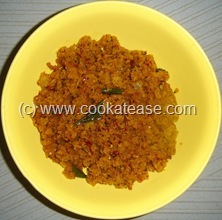 I made nellikai thokku today by referring to your post. It came out really well. Thank you.